Beloved of God, called to be saints: Grace to you and peace from God our father, and the Lord Jesus Christ. Happy Independence to us- God bless our country Nigeria. welcome to the month of October, 2018. I will like to begin by asking you this question; Are you a Slayer? Now you answer that, let me define a Slayer. Who is a slayer? A slayer is one who slays; a killer, a murderer, a destroyer of life. Having received a clear definition of a Slayer, I will like to ask you again, Are you a Slayer? we all know the answer to that question because there are only two people you can’t deceived or lied to and that is God and your very self. Slayers are always united they love assembling together but that is what some of the true Christians lack. When slayers assembled, they bring in ideas then select the best options and work diligently on them. They do not only have interest in slaying, they are committed, meaning they will never fail to slay you even if it cause they their blood (2Kings 3: 27). When they are committed in achieving something, is like they are being controlled. When this happened, you have to buckle yourself spiritually because you can’t fight spiritual battle with physical strength; this is where you will need the help of the Holy Spirit. Slayers do not wait for you to have fault before slaying you, they sought out the fault. A slayer’s eyes always bow down to the earth, calculating your steps, every move that you make – Psalm 17:11. They are callous, arrogant and compared to a lion crouching to spring at the prey. Beloved be wise and turn to God so that He will help you deal with these wicked oppressors in your life. 1. To slay you, making your life miserable. They are threat, like a virus in the human system and you need antidote to flush it out of your system, that Antidote is Jesus- the soon coming King, the Lion of the tribe of Judah! 2. They live for what they can accumulate in this world. They have no business with righteousness, holiness, love, peace, joy, longsuffering. They believe in kill and possess. Slayer do not use knife, gun or matchete to kill, their best weapon is the tongue. Beloved life and death is in the power of the tongue. How well do you use your tongue? In Daniel 6: 16, those men succeed in their plan to make Daniel’s life miserable, they reproach and ridiculed him. Beloved, this is exactly what most of us are going through in the hands of the slayer but God that drives away flies for the tailless cow will arise and fight for you. On that night that Daniel as thrown into the lion’s den, the king could not sleep, the Bible says “and his sleep went from him” And he arose very early in the morning and went in haste unto the den of lions. Daniel 6:18-20. And the king’s visits to the den turn things around for our brother Daniel. I declare and decree, wherever your destiny helper are, the Spirit of God will locate and direct them to you. In verse 24 of Daniel 6, the king commanded a long due judgment for Daniel’s slayers. Beloved, that is how God will disappoint the devices of the crafty against your life. the slayers pan was to silence Daniel forever but I hear the word of God saying And so mightily grew the word of God and prevailed (Acts 19:20) for the king gave a decree that all must worship only the God of Daniel for he perceived that He is The living God. Praise the Lord! How shall I curse, who God hath not cursed? or how shall I defy, when the Lord hath not defied. Numbers 23:8. 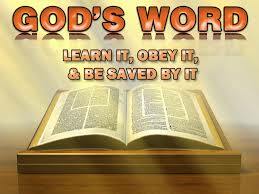 God is not a man that he should lie; neither the son of man, that he should repent: hath he said, and shall he not do it? or hath he spoken, and shall he not make it good? Behold; I have received commandment to bless: and he hath blessed; and I cannot reverse it. Numbers 23:19-2. Surely there is no enchantment against Jacob, neither is there any divination against Israel… Numbers 23:23. 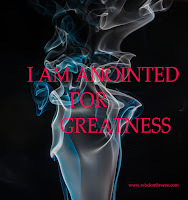 Dearly Beloved, remain lifted for God hath anointed you above all slayers in Jesus’ name, Amen.